Cascadia Wild is a Portland-based non-profit (501)(3c) organization whose mission is to inspire personal connection to nature and community. By providing individuals with a greater understanding of the natural world, Cascadia Wild seeks to instill in people a sense of place in nature and to transform how they perceive their role in the cycle of life. It is our hope that by renewing our relationship with nature, we can inspire better stewardship of the environment and our communities for future generations. Cascadia Wild believes in balancing scientific study with creativity, and professionalism with heartfelt enjoyment. In all our programs, we combine ancient and modern ecological wisdom, fostering the awareness of a native tracker along with the knowledge of a modern scientist. Our teaching style uses hands-on experiential learning which engages all of the senses. By tapping into a person's own natural curiosity, nature itself becomes the teacher. The goal of this style of learning is to instill a strong connection to the land and a passion for stewardship. CASCADIA WILD IN THE NEWS! Check out this story on KPTV about the Wolverine Tracking Project! 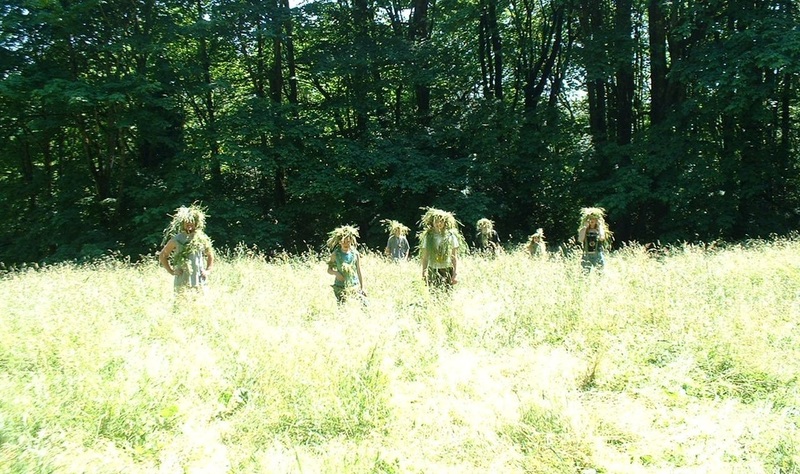 Practicing camoflauge on one of our kid's camps. In 1998, a group of people joined together under the "CaWspices" of Cascadia Wild because they wanted to share their knowledge of the natural world with others. Since that time we have been able to offer many nature education programs to schools and independent groups, develop a partnership with the Mt Hood National Forest to spearhead their rare carnivore monitoring efforts, and mentor thousands of people in animal tracking, wild edible plants, and other wilderness survival skills. 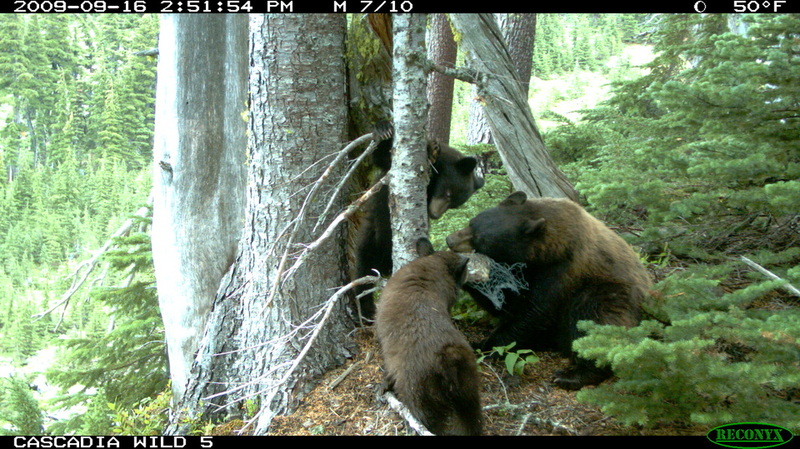 Black bear picture taken by one of our wildlife survey cameras.